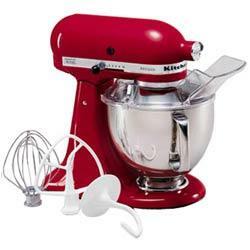 Complete set with flat beater, dough hook, wire whisk and pouring shield. Additional ice cream attachment and beaterblade. Comes with delivery in Singapore only.